Trudeau-Marchand-Sauvé appoint known Communist René Lévesque to set it up, and lead it. Hellyer quits; known Communist Constance Clara Fogal Rankin then leads it. 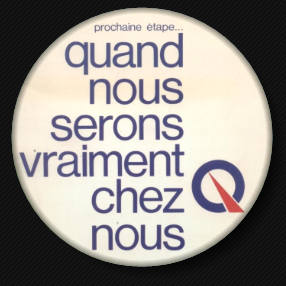 PQ is formed by merger of 2-3 left & far-left “parties”, including the RN and the RIN. Behind the PQ is a Communist Manifesto in French only, never covered by the English-speaking press and broadcast media. The manifesto, entitled Quand nous serons vraiment chez nous, calls for a Communist State of Quebec attached to Canada and the USA by treaties and accords. It calls for a planned economy, centralized production, state control of all businesses, and the “extirpation of individual liberty” as known in so-called “Liberal” western societies. Behind the CAP is a globalist, world-government religion channeled by a member of a Skull & Bones family. The Urantia Book (their “bible”) sanctifies the Council on Foreign Relations, the Trilateral Commission, and calls for a world government so that Earth can join “galactic society” – consisting of countless alien worlds who also have world governments. The President of the CAP preaches Urantia, and maintains countless web sites on it, featuring Jesus, the Flag of Israel, and the flag of the United Nations. The PQ demands a “democratic vote” in Quebec to “secede” if Canada won’t refederate with Quebec on the EEC-EU model. The CAP demands a “democratic vote” in Canada (Parliament, and Canadians in general) to stop Canada’s being annexed into USA and Mexico on the EEC-EU model. However, constitutionally speaking, “secession” is impossible. However, constitutionally speaking, annexation is impossible. Therefore, in both cases, the “democratic vote” is to trick the people into  refederating Canada East-West on the EEC-EU Regional Red model;  annexing Canada North-South into the EEC-EU Regional Red Model (“Building a North American Community”), hoping Canadians will never realize the Constitution forbids both these things, and there is no “option” to do either. The answer is “No” from the Constitution; and legally, the people have no constitutional authority to defy the Constitution by voting “Yes”. The result of both these operations by Communist Front Parties will be a Red Regionalized continent, the North American Soviet Union. Crossover occurs between these two Red Fronts in 1996 when we find Communist Comrade Connie Fogal Rankin and her Stalinist husband, Harry Rankin, consorting out west with Quebec City lawyer Guy Bertrand, a founding member of the Communist Parti Québécois, who once ran for its leadership, and who filed a phony "law suit" (the legal term is “nullity”) in Quebec City in 1995 to aid and abet the 1995 PQ referendum to dismantle Canada for East-West regional union. Since 2014, Bertrand has been pushing Quebec "independence" to immediately regionalize (Communize) Quebec by "seceding". Out West in 1996, Fogal, Harry, and Bertrand are working together on the North-South regional merger (the North American Soviet Union, mislabeled NAFTA), by bamboozling Prairie and Western Canadians in public seminars delivered by these leftists. Their coterie includes “Red Tory” David Orchard. The COVER story used by these Red Agents is always: “Fighting to Save Canada“. Red Mole Trudeau used the ploy to justify his challenging René Lévesque to a referendum to dismantle Canada. 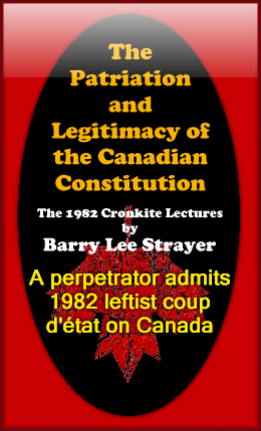 Communist Guy Bertrand used the ploy to justify filing his phony “law suit” in 1995, which was not a real law suit, but a set-up with our occupied courts to ensure the dismantling of Canada after a “Yes”. Hellyer used the ploy in 1997 to set up a “nationalist” party to “fight for” Canadian “sovereignty” against NAFTA and the incoming North American (Soviet) Union. Close colleague of Fogal, Rankin and Bertrand, “Red Tory” David Orchard, has been making a killing for years selling one edition after another of his book “The Fight for Canada – Four Centuries of Resistance to American Expansionism,” The implication being that Canada is capable of being lost. Orchard’s alleged goal is to save Canada from so-called “Free Trade” and “NAFTA”, which in truth is Red regional annexation, exactly what the left subverters are pursuing. For David’s information (which he already knows and is ignoring), the “Fight for Canada” was won, definitively, in 1867 with enactment of the British North America Act, still Canada’s one and only lawful Constitution which legally prohibits the annexation of Canada, and secession to dismantle it. Meanwhile, you can buy a copy of David’s book from him and fill his pockets with proceeds from sedition: his flat-out lie that Canada is capable of being “lost”. 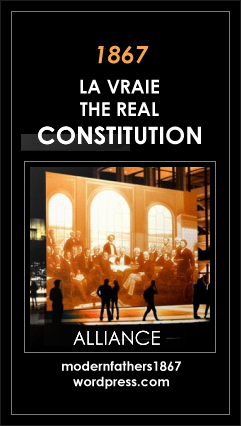 The Constitution needs to be enforced, that’s all. But, if you are misled by David and his Communist pals, you will bite your fingernails to the quick at the edge of your seat while Canada circles the Red Drain. Instead, you should be running to Court to assert Canada’s constitutional sovereignty which no government has any power to sell, trade, or abdicate. Another ploy of these Tools of Moscow is to mislead Canadians psychologically into accepting the demise of their country. In 19xx, Paul Hellyer published a book titled: “Goodbye, Canada” (Adieu, Canada, in French: don’t miss those sales!). The implication being that Canada is being lost, and is therefore capable of being lost. Close colleagues of the CAP and of Comrade Connie Fogal are the film makers, PressforTruth.ca who made a feature movie called: “The Nation’s Deathbed” in which a funeral is held for Canada. These are talented young people who have produced other very interesting documentary footage. I have no desire to link them as voluntarily in league with Communist Fogal and the Hellyer Reds. Up to now, my only impression is that the people at PressforTruth.ca are being misled by the quite convincing interventions of these very slippery Communist operators. It’s easy to be misled, at least temporarily. Back in 2005, when I first became aware of the North American Union, I searched the Web and signed up to Connie Fogal’s emailing list. I had no clue she was a Communist. I had no idea the Marxist-Leninist party of Canada follows Connie and her Red World pals wherever they go, cheering positively. One day, an email arrived from Connie which sounded terrifying. Its contents emitted an aura of impending military invasion of Canada by the New World Order. A tiny airport landing strip, she said, in north Vancouver had just been widened, for the purpose of landing military vehicles. That got my attention. I therefore tracked down the little airport online and wrote to them, asking for confirmation of Connie Fogal’s email. I got to the head man, who was non-plussed, and whose office in the tower overlooks the airfield. It had not been widened. I transferred the news to Ms. Fogal and asked for an explanation. None was forthcoming; only silence. I therefore unsubscribed from Connie Fogal’s emailing list. Eventually, I found Connie posting my face and my campaign (Habeas Corpus Canada), in forums, but with her name, phone, fax and email, asking people to contact her, as if my campaign were a CAP adjunct. By that time, Connie was gone from the CAP, so I wrote to Andrew Moulden, the new CAP leader, and invited the CAP in no uncertain terms to stop using my face and campaign with their email, phone & fax, and come up with their own promotional material. One forum where I asked to have Connie’s post using my name and face removed, did, indeed, remove it. If there are still others out there, they are not there with my knowledge or permission. All of these “Fighting to Save Canada” fronts are Communist ploys to divert Canadians away from the courts, and distract us from the answer to all our problems: The Constitution. The solution to events is legal, not “political”. “tired of war, pacifist and […] has even begun to demobilize a part of its troops” (1951 report of John Watkins) and that “qualified Chinese leaders […] are busy finding solutions […] for the greatest good of the Chinese people” (1951 report of Chester Ronning). However, both these men are in fact Reds (which Trudeau denies, by inversion), as will be apparent. “A remaining question is why Pearson and the Liberal hierarchy decided to cover up for Watkins. “If so, this meant that Pearson’s own priorities came ahead of those of Canadians in general. That article is from March, 1981. The Nemnis are publishing Trudeau’s biography in 2011, when this information is available to researchers. Yet, the Nemnis — who have also taken over publication of Trudeau and Pelletier’s infamous pro-Red Cité Libre — offer the reader no clue that Watkins indeed was a Red agent. “[o]ne of those who had long propagandized for such recognition was former diplomat, Chester Ronning, Bilderberger (1955, 1956). In his book, THE RED FOG OVER AMERICA, Commander Guy Carr says that Ronning joined the revolutionary army of Sun Yat Sen in China in 1911 and worked under the direct orders of Michael Borodin, the envoy of the Comintern in China…. After Ronning arrived in Canada he openly formed the I.P.R. and infiltrated into Mr. Pearson’s Department of External Affairs…. Ronning is a personal friend of Chou En Lai and Mao Tse Tung (page 213). “The international bankers’ C.F.R. is disarming America while they finance the world’s largest military machine in Soviet Russia. “Starting in the ’30s and continuing through World War II, our official attitude toward the Far East reflected the thinking of the Institute of Pacific Relations. Members of the Institute were placed in important teaching positions. They dominated the Asian affairs section of the State Department. Their publications were standard reading material for the armed forces, in most American colleges, and were used in 1,300 public school systems. The central bureaus of the Comintern in Moscow, located in a vast building opposite the Kremlin, guarded by the GPU, became a sort of worldwide intelligence center such as exists in no other country in the world. The central apparatus of the Comintern was subdivided into regional bureaus for the Latin countries, Central Europe, Scandinavia, the Middle East, the Far East, North America, Latin America, etc. Therefore, Chester Ronning, who answered directly to Michael Borodin, Moscow’s envoy of the Comintern in China”, had been taken directly into Canada’s civil service, External Affairs, while apparently still a Red agent under control of the Comintern. No doubt, his assignment had been switched to North America. While Commander Carr thinks Ronning “infiltrated” “Mr. Pearson’s” External Affairs Department, it is much more likely that he, like Pearson — himself a Soviet mole — was smuggled in. (Pearson, too, must have been smuggled in, because the F.B.I., in 1951, notified Canada’s RCMP that Pearson was a Red Agent.) Watkins, Ronning and other fellow Reds, including Pierre Elliott Trudeau, Jean Marchand and Gérard Pelletier were not simply “infiltrated” into Canada’s federal government, they were ushered in through the “Open Gates of Troy,” as well known documentary researcher and film maker G. Edward Griffin has called it, in his eye-opening two-part series, “The Subversion Factor” (on the Media tab). Pearson moreover, while prime minister, stacked his famous Royal Commission on Bilingualism and Biculturalism with still more elements of the left, including Soviet agent Jean-Louis Gagnon, a protégé of both future Trilateralist Mitchel Sharp and pilgrim of Moscow, Pierre Elliott Trudeau, the latter who led a Communist delegation at Moscow in April of 1952, organized and all expenses paid by the Canadian Communist Party. 1 Trudeau, Fils du Québec, père du Canada, Tome 2: La formation d’un homme d’Etat: 1944-1965 [Translation: Trudeau, Son of Quebec, Father of Canada, Volume 2: The Training of a Statesman: 1944-1965]. ISBN 978-2-7619-3192-2. 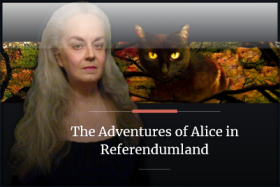 Commenting on article 1 of the Covenant, some members noted that the right to self-determination was not expressly guaranteed in any of the Canadian provinces and that it was not even mentioned in the laws of British Columbia and Quebec. “Self-determination” is a concept of international law expressed in the Charter of the United Nations and other international instruments, involving the right of “all peoples” to “secede” from a parent state under certain conditions. Moreover, “self-determination,” constitutionally, cannot be “mentioned” in any measure by any Province of Canada, because the power to “secede” is expressly denied by elimination of all risk of residual (national) sovereignty from the provincial sphere in 1867 using enumerated powers (powers confined to a list), thus prohibiting any provincial activity “in relation to” (legal phrase) “secession”. Was the Communist U.N. expecting B.C. to “secede” in 1980, if Quebec registered a “Yes” and declared U.D.I.? And in 2005, as we can see at page 11 of their English-language program, the “Prestige Sponsors” of the newly hatched North American Forum on Integration (NAFI), include the Province of British Columbia, the other “Prestige Sponsors” being federal government departments of Canada, the United States Embassy (of all things! ), the unconstitutional “International Relations” Ministry of the Province of Quebec, the Bloc Québécois (federal counterpart of the veiled Communist Parti Québécois in Quebec), the Forum of Federations, and the IDRC-CDRI (See: Triumvirat — The first interparliamentary simulation of North America (May 23 to 27, 2005, Canadian Senate, Ottawa, Canada). The NAFI is a criminally seditious movement to federalize North America, involving the destruction of all three Constitutions, to eliminate Canada, the USA and Mexico, extinguishing the true fundamental right to self-determination of every Province of Canada under its lawful Constitution of 1867. Other sponsors include universities; “Privileged Sponsors” are listed specifically: GazMetro, North American Fund for Environmental Cooperation, Bureau du premier ministre du Québec (office of the Quebec premier), The Washington Center. So, Quebec and B.C. are specifically targeted by our embedded Reds. 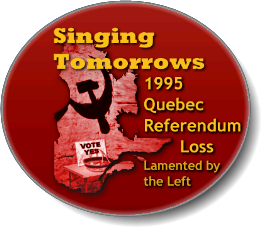 Thus, at the 2005 launch of the model parliament for (a Leninist-style regional) North America, the two provincial governments sponsoring the model parliament for the new Red entity were those of Quebec and British Columbia. Pierre Elliott Trudeau and Joe Clark, the only two names we currently know for sure, squelched RCMP files on Trudeau himself, and on the Gouzenko revelations (much of which were never brought to light), and the “Featherbed File” on suspected Communist subversives in Canada’s federal government and civil service. They squelched them officially with Orders in Council in 1979, which were likely repeated in subsequent years by subsequent governments. They moreover squelched information going back decades to the 1920s when Oscar D. Skelton, a Soviet Comintern agent, was made the “father” of Canada’s civil service, and the Prime Minister’s closest adviser. Skelton staffed Canada’s civil service with Marxists and Marxist sympathizers! We know this from a former undercover RCMP officer, Patrick Walsh, who exposed these facts in 1982, including the fact that the documented information has all been squelched by our “government”. We know the RCMP suspected Trudeau. We know Trudeau led a Communist delegation at Moscow in 1952. We know Trudeau appointed Soviet agents to high-level positions in the federal government and civil service, Jean-Louis Gagnon for one, who was exposed in the Gouzenko revelations. A future friend of Trudeau’s, Mitchell Sharp (later of Rockefeller’s Trilateral Commission) helped Gagnon escape to Brazil and gave him a job at Brazilian Traction, thus keeping Soviet agent Gagnon out of reach of the “royal commission” while the Gouzenko hearings proceeded, unable to force him to appear. And when the smoke cleared, they brought Gagnon back and put him into government! We know the CIA suspected Lester Bowles Pearson while Pearson was exercising the office of Prime Minister — but the FBI had a file on Pearson going back to 1951 confirming he was a Soviet agent handing high-level secrets to Soviet military intelligence. Do the FBI and the CIA not keep track of their own paperwork? Or, are they, too, full of Communists and Soviet agents? All that information and more has been squelched for decades while those men proceeded to take this country into a continental nose-dive towards illegal referendums in Quebec under the Communist Parti Québécois to dismantle Canada for the top half of the Communist continental regional union: i.e., merger with USA and Mexico disguised as “trade deals”. That merger is on the model of what Mikhail Gorbachev has called the “New European Soviet“. We are going to get the “New North American Soviet“. Therefore, today, while Canada is actively being annexed to the USA and Mexico in a Leninist-Stalinist regional union on the pretext of 9/11 to complete the initial stages of integration begun with the Auto Pact (Pearson), the FTA and NAFTA (Trudeau and Mulroney), we are fed this pablum by our incompetent and controlled “News” media, implying this hapless “Charlie Chan” is our number one “suspect”? The whole NDP is Communist, never mind “members” of it! The NDP (from which pro-Soviet Trudeau emerged before he leaped to the Liberals where he carried out NDP Communist policy), are socialists, are Communists, just like the Parti Québécois with its hidden French-only 1972 manifesto calling for a Communist state of Quebec with centralized planning, production, worker self-management, the elimination of private enterprise, and the “extirpation” of “individual liberty”. The NDP even has a hidden party constitution which plans to abolish private property! They even have an NDP “Socialist Caucus” (it’s Communist!) with the logo of the Socialist International (SI) on it, of which the entire NDP is and has always been a full member. If you ever wondered why Pierre Elliott Trudeau always wore a rose in his lapel, it’s not because he was an over-aged bachelor. It was because he was a Socialist from the NDP, and the rose is from the Socialist International… all of whose member parties are traitors to their own nations who work for a foreign power with a view to destroying these nations for Communist regional government. Why do you think John English, Trudeau’s colleague and fellow member of the Canadian Institute of International Affairs (branch of the Royal Institute of International Affairs which is doing world government for the Zionist banks) entitled his biography of Trudeau, “Citizen of the World“? Just because Trudeau was a world traveller? Or because Trudeau, the socialist NDP’er in Liberal clothing, was restructuring Canada — and America — with a little help from his leftist friends in the American CFR — for Communist regional union under world government. This is the real NDP. And they are not Mom’s apple pie. In fact, in their “socialist Canada”, Mom’s apple pie will be rationed, its production curtailed or even eliminated. Mom will then be eliminated. A Communist regional union is unfolding in North America on the way to a Communist world government. But how can you even take CSIS seriously? How can you even ask CSIS to investigate anything? There has never been any investigation into the real extent of the Soviet penetration of Canada. Those who penetrated came in from the top-down and squelched all prospect of a real investigation of themselves because they were wielding the levers of power. They no doubt also staffed Canada’s CSIS — like the rest of the cream of our federal crop — with still more agents of the Soviet Cominern… who are using this Chinese NDP “member of parliament” as their fall-guy to make it look like they are really investigating something, and really protecting Canada. Exposing this Chinese NDP guy is a CSIS charade! 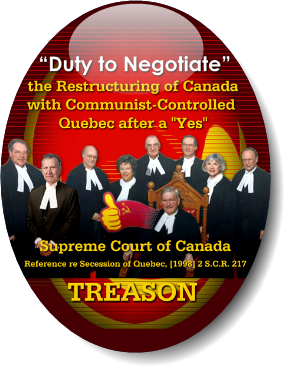 It’s obviously calculated to make the current usurpation of Constitutional government in Canada, the government of “Red” Harper who finances radical Communists in Quebec illegally with federal taxpayers’ money to the tune of millions, look like Mom’s apple pie. How Canadian! They are brilliant. They are sacrificing a couple of Chinese Communist agents to make themselves look innocent. This is the wolf in wolf’s clothing! What Canada needs is to open the Featherbed File, open all those Gouzenko files that were squelched, open Trudeau’s RCMP file, please, and do it quickly before the current de facto “government” completes the Communist regional union under the upcoming Communist one-world government at the UN, which Louis Saint-Laurent (erstwhile Rhodes Scholar*) himself in 1946 called “the basis of the world government”. NoSnowinMoscow.com has the only complete scan online of this RARE historical record of Communist treason from the top-down in Canada. 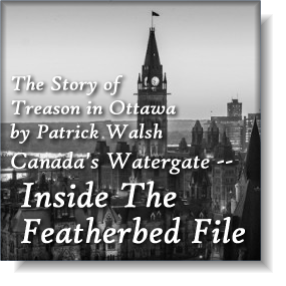 Patrick Walsh’s “Featherbed File” exposes high-level Soviet Comintern penetration and infiltration of Canada’s civil service and federal government that has never been investigated. The reason being that those who would normally conduct the investigation are themselves the Communist infiltrators. The scanned copy of Walsh’s “Featherbed File” will be filed into court as evidence in a law suit now in preparation: HABEAS CORPUS CANADA – The Official Legal Challenge to North American Union, which is a Communist regional union, the goal of decades of Soviet penetration of Canada and America. World-Government Subversion in America: Non-conformists "mentally ill" or "insane"
Foreword: I submit to you an extraordinary exposé from 1958 of Communist mental-health propaganda and subversion installing itself in the U.S.A., and with startling extracts from a Communist subversive text book used at Lenin University. The author of the piece connects the subversion to the UN, UNESCO, Marxist objectives for America, and the Communist goal of “One World Super Government”. The purpose of this department is to permit a public expression of opinions by citizens and taxpayers, but no letter containing purely personal or abusive matter will be acceptable for publication. Name and address must accompany every letter, even though an anonymous signature is used. Any opinion expressed herein has no connection with the editorial policy of this newspaper. For the past three years, these programs have been rapidly “mushrooming” in most parts of the country un­der the guidance of unknown and untrained alien psychiatrists who have been quick to seize upon the innate kind­liness, hospitality, and altruism of our Christian American people, and to offer a variety of programs for “mental health” and “collectivist” schemes. Most of the suave, high-pressure speakers who pre­sent these programs are saturated with a heavy alien ac­cent and it doesn’t require too much analysis of the beautifully-packaged, deceptively-named “mental health” pro­grams, already become law, or now pending before our national and state law-making bodies, to understand that the ultimate, intended goal of these proposed legislative acts are [sic] a vicious attempt to des­troy the self-reliance of the American citizen — and that it is an ominous threat to de­prive him of his freedom and liberty. After a careful reading of this propaganda now being huckstered around by speakers and organizers who can hardly enunciate English, and after listening to their oratory filled with pretense of con­cern for those who they claim are “mentally ill,” anyone with average intelligence should become convinced that most of these Mental Health “proposals” are po1itica1 schemes to transform any citizen who may refuse to conform to any political objective being promoted by the nation, state or community in which he lives, into a faceless — spineless — characterless non-entity, devoid of will power or ambition — easy prey to those who may be in a po­sition to exert power over him. There is stressed the “usual” propaganda of “great bene­fits” of the Mental Health programs, emphasizing the ef­ficiency of treatment and the speed by which the victims are returned to the commun­ity in large numbers, after treatment. Obviously, without any written authorization except the “written application of an interested party,” for example, some welfare worker, an American citizen can thus be silenced and deprived of his liberty. This is indeed a most in­credible departure from rec­ognized police procedure in effect today. What better program could there be, especially for satis­fying the wrath of Sherman Adams and his White House “Palace Guard,” against trou­blesome dissenters and critics of the Eisenhower administra­tion? Most certainly, there is no one who would ever oppose the establishment of suitable hospitals and the very best of care for those who are genuinely “mentally ill,” or insane, — BUT, the gesture of phi­lanthropy indicated by the numerous Mental Health pro­grams, are [sic], in most cases, an atrocious fraud upon the Citizens of this Republic, because they [d]eceive the uninformed, — the indifferent, — and the naive, — in carefully disguising and concealing their true ob­jectives, and also their failure to reveal the complexion and identity of their enthusiastic proponents and sponsors. They now infest the United Nations Organization, — spread­ing their political poison where they have been able to carry on their activities and evil work unchecked, con­stantly working for the destruction of the established or­der of Christian life within these United States which has afforded them decent living, and asylum from persecution abroad. These high priests of psy­chiatry, psychology, and men­tal health and their education­ist stooges, — not satisfied with having, all but completely, destroyed the individual’s will to defend his God-given rights, as guaranteed under our con­stitution, have now become extremely impatient to attain their concealed objectives. Accordingly, they have turned their attention to plaguing the country in the field of Mental Health as an effective means to accomplish the “coup de grâce,” namely the ultimate perversion of our citizens and the subversion of our Christian American ideals. When the deceptive eloquence, and processes of men­tal trickery practiced by most of the proponents of mental health legislation, have been well exposed — the Congress should take a good look be­neath the surface in order to make a thorough investiga­tion of the peculiar personali­ties behind, and supporting the numerous Mental Health programs. Then, and not until then, will this atrocious fraud upon our citizens be revealed in all of its stark reality and evil aims. Instead of establishing, here and there, the national insane asylums contemplated by these alien mental health “ex­perts” for the isolation of patriotic Americans who re­fuse to conform to the Communist and Socialist trends in government, and who refuse to remain silent in the pres­ence of treason in our Su­preme Court, a real solution, in keeping with American tradition, must certainly be developed for the tender care and understanding of those who are genuinely ill mentally. This must be administered by those of American parent­age and Christian background – of proper training and recognized ability in the field of psychiatry and psy­chology. Every effort should be made to rid this nation of this alien swarm of phoney psychiatrists and psychologists, — many of whom serve Marxist fanatics by classifying, as mental cases, those Americans of patriotic stature who loudly and courageously oppose such un-American organizations inside the United Nations organization as UNESCO, One world super-government, and Communism with all its fronts. It appears obvious that if laws could be re-written, mental health prisons created, and, if the majority of our voting citizens could be “brain-washed” into the belief that every non-conformist is a victim of “mental illness,” then those who conspire to destroy the sovereignty of the United States of America, might fin­ally succeed in the establish­ment of a “Super One-World Government” to succeed the United Nations Organization. There would then be no need for concentration camps. Institutions for the “Mentally ill” would suffice. Every Senator and Con­gressman should be deluged with letters demanding the immediate investigation of all menta1 health bills, now pending before the Congress. Investigation should also be demanded to disclose the identity of those who are fi­nancing and promoting them. Many of these bills, like the Alaska Mental Health Bill (HR 6376), reek with medical fraud and possible treason. Your demand should be made NOW, before it is too late. Update: The web site entitled “Human Rights Watch” offers a free download of their 55-page report entitled “The Legacy of Psychiatric Abuse in the USSR“. This article, originally published on September 6, 2004, was written by noted Lithuanina-American journalist and author Vilius Brazenas for The New American. A recipient of Lithuania’s highest civilian honor, The Order of the Vytis Cross, Mr. Brazenas was well known as a political analyst, writer, and speaker not only in Lithuania, but also in the United States, Europe, and many other parts of the world. Mr. Brazenas passed away in Vilnius, the capital of Lithuania, on October 3rd. He was 97 years old. This article, which is as relevant today as when it was published, is being republished here in his honor. I am going to tell you a story about Europe and America. It is a true story about tyranny and freedom, about hope, folly, deception and betrayal. It is also a warning about grave danger. Alarmed at the trends I see, I feel obliged to tell this story. Now in my 91st year, I am one of the few living souls who have experienced the major events of the last century. Being both European and American, I have witnessed and studied these events from opposite sides of the Atlantic. I am Lithuanian by birth and saw my small country suffer under both Nazi and Communist brands of totalitarianism. My family was trapped in Russia when the Bolshevik Revolution brought the Communists to power. As a young boy in Moscow, in 1922, I was forced to march with my classmates in the Communist May Day parade in front of Vladimir Lenin himself.Like much of Europe, Lithuania was overrun in the 1940s by the Soviet Red Army, then by the Nazis, and then again by the Soviets. In 1944, as the Soviet Red Army was reinvading Lithuania, and after facing Soviet tanks, I was able to escape with my wife and daughter. In 1949, we were able to come to America and, later, thank God, to become U.S. citizens. In January 2003 I came back to live in Lithuania. As an author, speaker and newspaper columnist, I am attempting to use my talents and opportunities in the time that I have left to warn my countrymen — both American and Lithuanian — about the very real and present danger to freedom posed by the evolving European Union (EU) and the very similar project proposed for North and South America called the Free Trade Area of the Americas (FTAA). Most Americans have only a very hazy understanding about what the EU is and an even foggier notion of how it came about. Unfortunately, most Europeans also have a very poor understanding of these things. They have only recently begun to recognize how blind they have been to the very real threats that the growing centralization of power in the EU poses to their national independence and their freedoms. However, it must be said that the main reason why Europeans and Americans both have such foggy notions about the EU is that the EU architects and promoters have purposely kept the real origins and objectives of the EU shrouded in deception. They had to do this, in order to foist this scheme on the peoples of Europe. If they had openly proclaimed their true objective — to end national sovereignty and create an unaccountable, socialist suprastate — the entire scheme would have been rejected overwhelmingly, right from the start. When former Soviet dictator Mikhail Gorbachev visited Britain in 2000, he accurately described the European Union as “the new European Soviet.” He said this with obvious approval, since he sees the evolving EU as fulfilling his vision of a “common European home” stretching “from the Atlantic to the Urals,” as he described it in his 1987 book Perestroika. Mr. Gorbachev is a lifelong Communist overlord who has steadfastly refused to renounce Communism. It is highly significant that a top-level Marxist-Leninist such as Mikhail Gorbachev could find such affinity with Western leaders about a “common European home” and then, 13 years later, approvingly note that that common home was moving ever closer to the Soviet model. After all, hadn’t the Soviet model collapsed and died? But Mr. Gorbachev was, at least in this instance, telling the truth; the EU has been, and is now, moving steadily toward Soviet-style tyranny. The European Parliament, the European Commission and other EU institutions in Brussels, Strasbourg, Frankfurt and The Hague are dominated by radical socialists and dedicated one-worlders who are bent on smashing the individual, once-independent nation states of Europe into Soviet-style conformity with the oppressive dictates of the new EU Politburo. In their powerful expose, The Great Deception: The Secret History of the European Union (2003), British journalist Christopher Booker and Dr. Richard North, formerly a researcher inside the EU bureaucracy, aptly describe the EU as “a slow-motion coup d’etat: the most spectacular coup d’etat in history.” In what remains of this article, I will attempt to explain why that description by Mr. Booker and Dr. North is no exaggeration and how this spectacular coup has come about. It is also my intent to show how the deceptive NAFTA–FTAA process is directly related to the EU and patterned after it to achieve the same kind of coup d’etat in the Americas. The “European project,” as the EU designers refer to their ongoing revolution, was launched with the Treaty of Rome in 1957. The Common Market was born the following December when Italy became the sixth nation to ratify the treaty (joining France, Belgium, West Germany, the Netherlands and Luxembourg). It was sold to the peoples of Europe as a “free trade” agreement that would bring prosperity by removing barriers to the movement of people, goods, services and capital across borders. The Treaty of Rome was, in truth, a constitution for a new government disguised as a treaty. Traditionally, a treaty is an agreement between sovereign states, concerning borders, military alliances, trade relations, extradition, etc. The parties to the treaty remain sovereign states; their form of government is not altered and their citizens are not directly bound with new laws or obligations. The Treaty of Rome, however, created a new, over-arching “community” independent of its member states and claiming the power to create laws that are binding not only on the member nations but on their individual citizens as well. This was not noticed by the people at first, because the EU founders were careful only to show their citizens the benign features of their project. It had been designed to be implemented incrementally, as an ongoing process, so that no single phase of the project would arouse sufficient opposition as to stop or derail it. The original Treaty of Rome has been repeatedly modified by subsequent treaties and legislation, all of which have greatly enhanced the legislative, executive and judicial powers of the central EU government. The European Communities Act (1972), the Single European Act (1986), the Schengen Agreement (1990), the Maastricht Treaty (1992), the Amsterdam Treaty (1998), and the Treaty of Nice (2000) are some of the most important benchmarks that have transferred vast powers piecemeal to Brussels, where the EU is headquartered. It was actually a multitude of lies. The EU founders and their successors have been carrying forward nothing less than a brazen scheme of treason dressed up as economic trade policy. And treason is not too harsh a word, for many of the key leaders of this operation are government officials who are betraying a sacred trust and have been lying outright to their constituents. As Sir Worsthorne pointed out, for decades the EU advocates had explicitly lied, insisting that the developing EU would not affect national sovereignty, and that EU laws and regulations would not override national laws and constitutions. These were wild, paranoid fantasies, they said. Warnings about the true nature of the EU were routinely smothered by the globalist controlled, pro-EU press — which includes nearly all the major media organs. Now that the project is entering its final stages, however, the eurofederalists are dropping all pretenses and admitting openly what they previously denied. They can hardly help it now, since the EU established a constitutional convention in 2002 to draw up a formal constitution for a United States of Europe. At nearly 300 pages, the document is an open-ended power grab, with none of the checks and balances and means of accountability that we enjoy in our U.S. Constitution. Regulatory nightmare. British grocers have been arrested and fined for continuing to sell bananas and other produce by the pound instead of by the EU’s newly mandated metric weights. Similarly, the EU dictates on the shape and size of cucumbers, the consistency of marmalade, the texture and taste of chocolate, and thousands of other consumer items. Acquis communautaire. The EU already operates under the doctrine of acquis communautaire, which holds that all members must adopt EU law in its entirety, and further, that once the EU usurps the right to legislate in a new area, its authority in that area is guaranteed in perpetuity. Thus, power is guaranteed to flow in one direction – from the member states to the central government. Corpus juris. The corpus juris is the new legal code initiated by the Amsterdam Treaty that will, among other things, set up a European Public Prosecutor with over-riding criminal law jurisdiction throughout Europe. Habeas corpus, trial by jury and other important protections will be swept away. Unlimited migration. Signatory countries of the EU Schengen Agreement have given up their right to police their borders, thus allowing illegal aliens – including terrorists – to travel freely between countries. With Russia and other former Soviet states, along with Turkey, scheduled for membership, we will soon have millions of new migrants, including many Communists and militant Muslims migrating at will throughout Europe – much like what could happen to the U.S. if the FTAA is implemented. Economic control. With the establishment of the euro currency and the European Central Bank, the EU countries have lost control of their fiscal and monetary policy as well as their currencies. Destroying agriculture. The EU’s Common Agriculture Policy (CAP) has taken control of nearly all agriculture and has nearly destroyed British agriculture. Power to tax. The EU already claims the authority to dictate indirect tax policies such as the VAT (value added tax) on clothes, food, public transport, fuel, construction, homes, etc. The Treaty of European Union declares that EU decisions to “impose pecuniary obligation on persons other than States shall be enforceable.” That means direct taxes on individuals. Coercive military and police power. If the Eurocrats have their way, they will soon have European military and police forces to enforce their increasingly dictatorial edicts. The architects of NAFTA and the FTAA openly cite the EU as the model for their proposed regional “common market” for the Western Hemisphere. For example, Mexican President Vicente Fox acknowledged on May 16, 2002: “Eventually, our long-range objective is to establish … an ensemble of connections and institutions similar to those created by the European Union.” At the time Fox was referring specifically to the three NAFTA countries (the U.S., Canada, and Mexico); the proposed FTAA would further develop the “ensemble of connections” while extending them throughout the Americas. President Bush, President Fox and the “new world order” Power Elite at the Council on Foreign Relations, Trilateral Commission and Council of the Americas have all adopted the deceptive terminology of the EU – “integration,” “harmonization,” “convergence” — to describe their “American project.” They have adopted an aggressive schedule, intending to do in a few years what it has taken the eurocrats decades to accomplish.